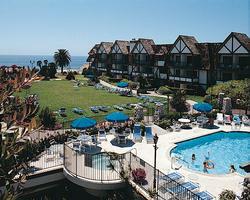 Carlsbad Inn Resort resales, save 50% or more, golf vacations, timeshare resales. REMEMBER WHEN YOU EXCHANGE YOU CAN EXCHANGE FOR ANY WEEK OF THE YEAR, AND YOU CAN EXCHANGE UP TO A YEAR IN ADVANCE OR TWO YEARS AFTER YOUR WEEK! CLOSING COSTS ARE $395 PLUS RESORT TRANSFER FEE.